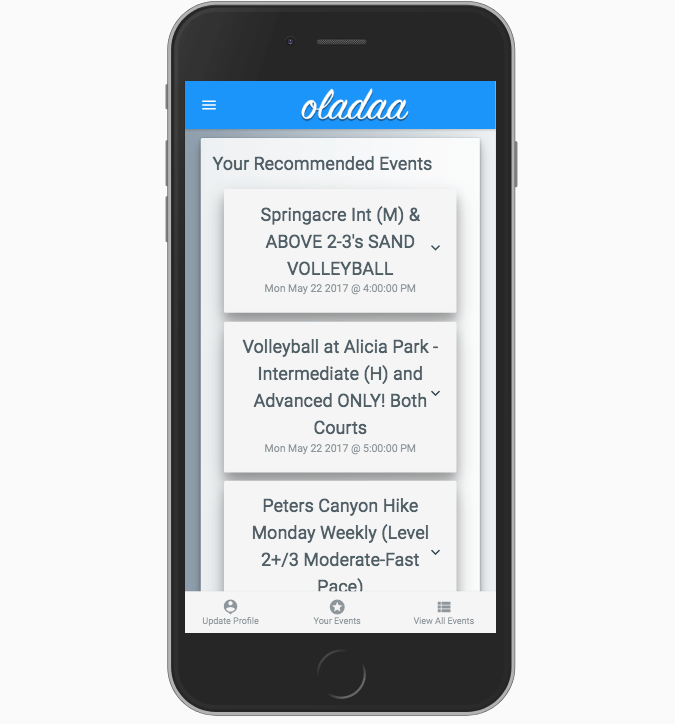 oladaa is a mobile application that suggests various local events based on a user's activity level. "Ola" is "life" in Hawaiian and "daa" is "dreaming about activities." Our team of three developers wanted to create something that would be fun and have a name that elicited joy when you say it. This was our capstone project at LearningFuze. On the front end, I was responsible for creating React components, the DarkSky weather API usage, Meetup API usage, Material-UI styling, and setting up Redux state throughout the app. 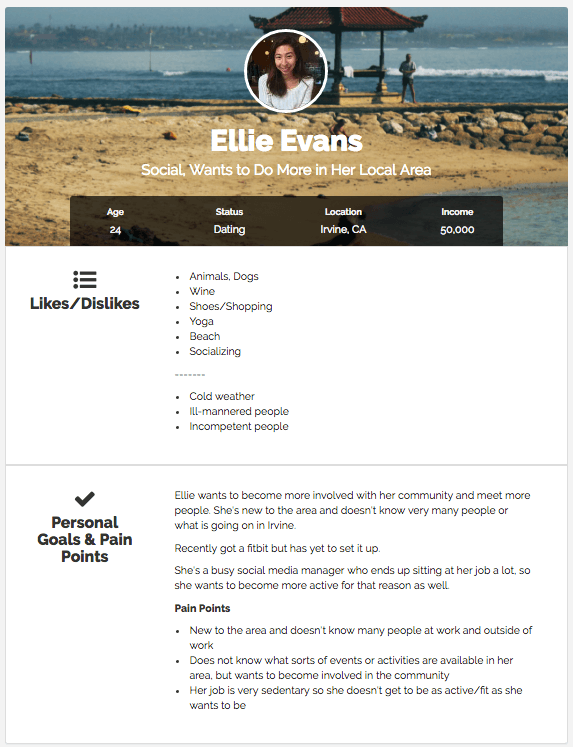 I took on the role of UI/UX designer and delved into user stories and personas. Again, we were setting up the details before putting pen to paper. Because we aren't full-fledged UX researchers, we did research on a budget using our junior developers for feedback. 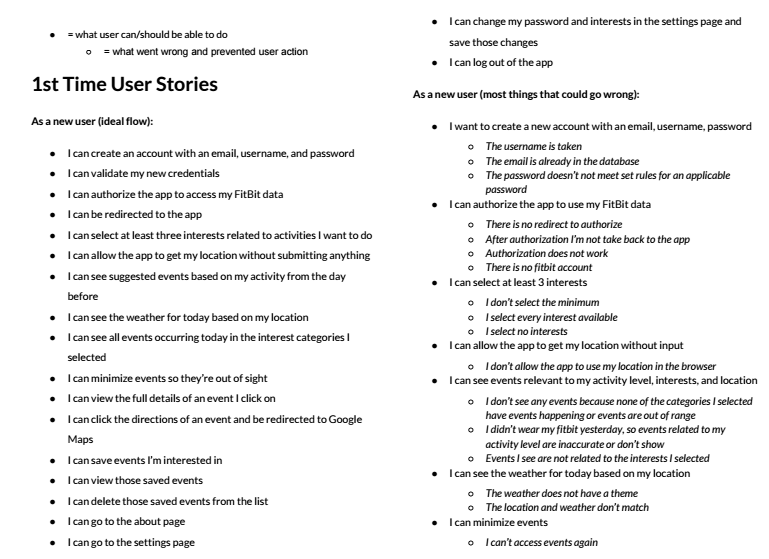 Using brief summaries of what I thought the ideal app flow would be, I then considered different possibilities for failure that would could mitigate once we started building. Using UserForge's quick persona creation, I created three users with different activity levels we could test and different pain points to keep in mind. As developers, it's easy to become close to the product and forget who it's really meant to help, so I knew it would be helpful to keep these three in mind over the course of our project. We even included them as mock users to provide different events based on their activity score. Once we had our basic data prototypes completed and an idea of how the app should flow, we could finally start the visual process. Before touching the computer I sketched out a first concept with various labels and direction, took it to our project manager and juniors for feedback, and iterated on it based on their suggestions. 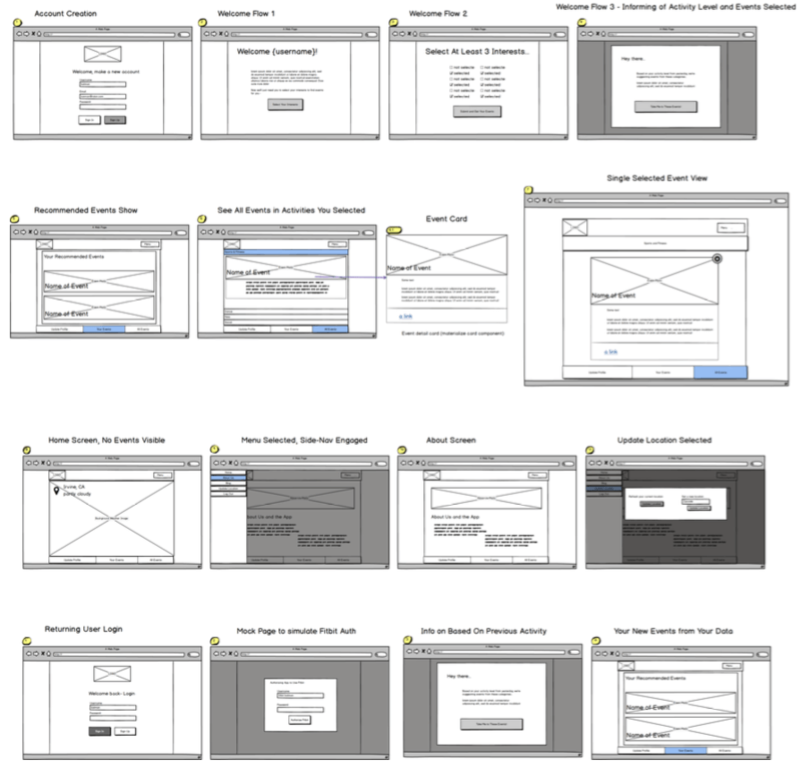 Then I took it to Balsamiq for cleaner, low-fidelity wireframes. From here we could see what sorts of components we would need to make, which ones would have state and which would be static. One of the challenging elements of this project was learning React/Redux on top of Material-UI. But digging in to the framework and library helped solidify my knowledge, though there is still so much to master. 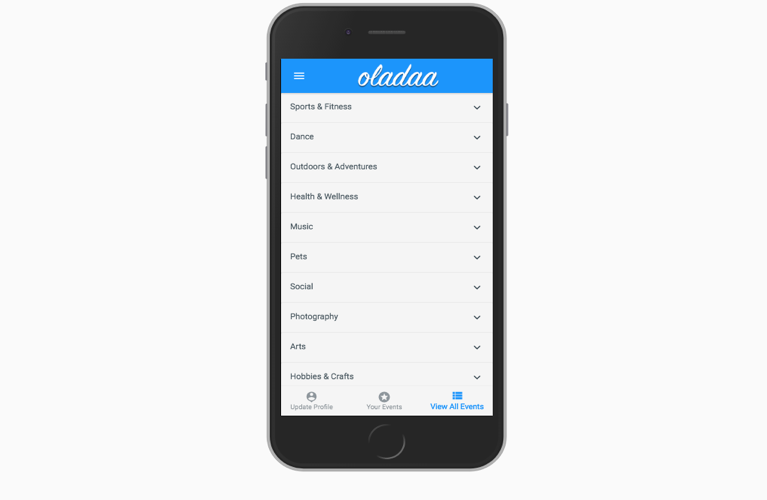 We spent a huge part of the project planning and prototyping but by the time it was necessary to share our MVP we had a solid app that came together because of so much preparation.